The Fallsburg Library provides access to the Internet as part of its continuing efforts to ensure that the citizens of the library’s service area have the right and means to access ideas and information, which is fundamental to a democracy. The Board of Trustees has approved this Internet Use Policy to ensure appropriate and effective use of this resource. Access to the Internet is available to all; however, this service may be restricted at any time for use not consistent with the Guidelines. Each user must sign in at the Circulation Desk prior to the beginning of each session on the computer, or use the 15 minute/self sign-in computer. Parents of minor children must assume responsibility for their children’s use of the library’s Internet service. As with other library materials, restriction of a child’s access to the Internet is the responsibility of the parent or legal guardian. We cannot guarantee or supervise the safety and security of minors when they are using the Internet, electronic mail, chat rooms and other forms of direct electronic communication. It is the responsibility of the parents or guardians to monitor their child’s Internet access and behavior while they are online in the library. Children under the age of 8 years are not allowed direct, unsupervised use of the Internet computers. A parent or guardian must supervise these children. A parent or guardian may request that Fallsburg Library not allow a child in their care access to the Internet computers. A signed form will be provided and is required to implement this request. The Internet changes constantly. Often, information is not verifiable as accurate and patrons should be aware that errors and intentional misinformation do sometimes occur. The Fallsburg Library has no control over the content found there. Please take the time to select the appropriate and most reliable sources and even confirm this information with a second or third source. Users should be aware that the inappropriate use of electronic information resources can be a violation of local, state, and federal laws and can lead to prosecution. The user will be held responsible for his/her actions while using the Internet computers. Users are expected to abide by the Guidelines detailed below, which include generally accepted rules of network etiquette. Unacceptable uses of the service will result in the suspension or revocation of Internet privileges. Text or graphics, which may reasonably be construed as obscene, may not be sent, received, or displayed over Fallsburg Library connections. 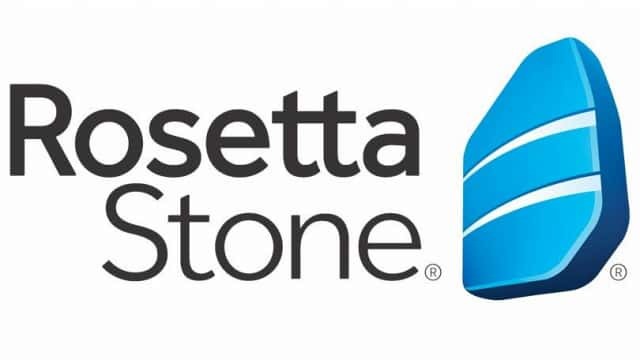 Users may use the Internet for the receipt and transmission of electronic mail (e-mail) as long as they use an e-mail service which will establish and maintain an account for them. The library will not manage e-mail accounts for any organizations or individuals. Internet use is offered in thirty (30) minute sessions on a first-come, first-serve basis. If no other patron is waiting for the service at the end of a session, the user may continue to use the computer; however, once having used the service for thirty (30) minutes, the user must relinquish use of the Internet if another patron requests use of the service. When a user completes a session, they may sign up for another session at the Circulation Desk. There is a limit of 2 sessions per day, unless no one is waiting. If a user is not present when their session begins, they are given a window of 5 minutes, at which time their name will be deleted from the list and they must repeat the reservation process. Users will not incur any costs for the library through their use of the Internet service. Users will not create and/or willfully distribute computer viruses over the Internet. Users will not deliberately or willfully cause damage to computer equipment or programs. Printing costs will be 10 cents per black and white print. No color printer is available for patron use. 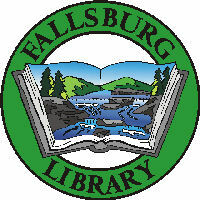 The Fallsburg Library offers free wireless Internet access to library users with wireless-enabled devices. The library provides unrestricted wireless access to the Internet and does not actively monitor or control content, but does maintain the right to do so. The provisions set forth in the library’s Internet Use Policy are applicable to wireless network (Wi-Fi) access as well. Our network supports a wide range of Wi-Fi devices. Most Wi-Fi network cards will be compatible. However, the library can make no guarantees as to compatibility of a library user’s device with the library’s network. Library staff generally does not provide wireless access support and will not install or modify hardware or software. If a patron requests assistance with modifying settings in order to gain access to the wireless, the patron assumes responsibility to modify and manage such settings for use outside of the library. In addition, patrons who choose to have a library staff member assist with their device agrees to hold the library harmless for any problems, perceived or otherwise, that may occur subsequent to such assistance. Communication through the wireless network should not be considered secure. The library is not liable for damage to hardware or software, transmission of computer viruses, loss of data or e-mail, or any harm resulting from the use of an unsecured server. Laptops using wireless are subject to all the rules of the library computers. Available power outlets may be used whenever the cord does not present a tripping hazard or block access for patrons and staff. Patrons may not unplug library equipment, move furniture, or block exits or aisles. The library is not responsible for any damaged equipment should a patron choose to plug into the library’s power supply. The library reserves the right to suspend privileges should a patron violate any policies or procedures of the Fallsburg Library. Due to the emerging nature of these services, policies are subject to change without notice and at the library’s discretion.